If you have ever seen ‘Waiting for Processing’ on an electronic invoice, you will know that not being able to stamp invoices electronically can cause disruption in the daily business flow. The most common reason for this to happen, is that the table SEVT - responsible for processing the requests, is overloaded. In this article, SAP Business One Support offer two simple tips on how to handle this. When this table returns no records, it means that the processing requests being sent to the Event Sender is working as it should. However, should this table return records, then this is a clear indication that something is not working as intended. When looking at the results in this table we need to focus on the ‘Object Type’. ‘Object Type’ 1730000000 is the one indicating a request regarding the Electronic Invoice functionality for Mexico. In cases where the Integration Framework is being used for the processing of Electronic Invoices exclusively, the system can be alleviated by simply removing all other Object Types. Once you have established that this is the case you can contact SAP Business One Support. At this stage, we have cleaned the queue in the SEVT table. Now we will move on to the second step which is to prevent this from happening in the first place. Tip #2: Set your Filters Correctly in the Event Sender setup. The Scenario described in the Tip #1 above, is easy to prevent. a) Go to the Event Sender setup. 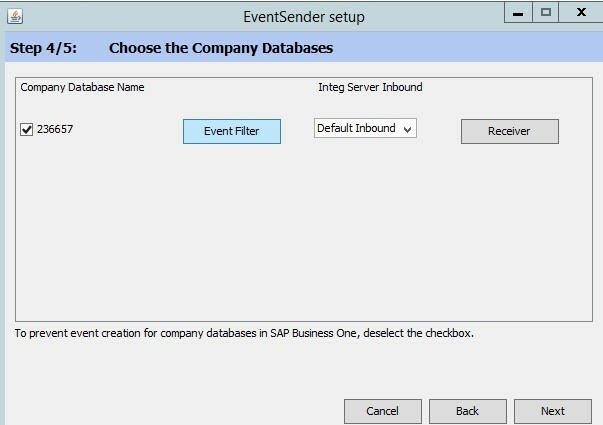 In Step 4/5, for the relevant database, click on the ‘Event Filter’ button. 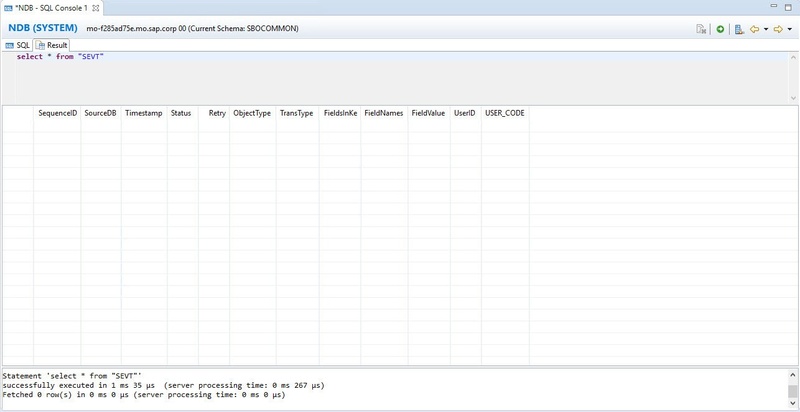 b) The ‘B1 Event Filter Configuration’ window appears. In the ‘Include List B1 Object(s)’ make sure the ObjectType ‘1730000000’ is included. And if the installation is for Electronic Invoice only then this should be the only Object Type. Note: After this step, it is very important that all SAP Business One users log off. To ensure this filters apply, it is mandatory that no user stays logged on before the next step. SAP Note 1882000 - Troubleshooting SAP Business One Event SenderSymptom 2 - Root Cause b - Solution b.
SAP Note 2192737 - Best practices: Performance optimization of the Integration Framework Statement A - Point 3, Configure the event sender filter. With these simple tips, we hope your business will keep on running efficiently.